Every single day, thousands of people around the UK receive medical treatment of some kind or the other. Most of these treatments proceed faultlessly and with positive results. Occasionally however, things can go wrong and can be classed as clinical/ medical negligence. Common mistakes for example can be an incorrect diagnosis was made, there was a lack of judgement during a surgical procedure or incompetence while administering medication. Whatever the reason, whether it was a mistake, an accident or incompetence, if the treatment you received fell below the high standard of care you are entitled to, you may be within your rights to claim compensation for your injuries and suffering. Clinical/ medical negligence can often have devastating, life-changing consequences. In the most severe cases, a person may be left unable to earn an independent living or even care for themselves independently. This can affect not just the victim of the misdiagnosis or mistreatment but also their family members. A medical negligence compensation claim does more than cover the cost of the immediate pain and suffering. It also helps pay for ongoing treatments and any necessary rehabilitation programmes or modifications that may be required in the home. Depending on the circumstances, compensation may even be sought to cover the cost of extra care or support that will allow the claimant’s children to live their lives to the fullest. When filing a compensation claim for clinical or medical negligence you will have to prove two things – Fault & Causation. 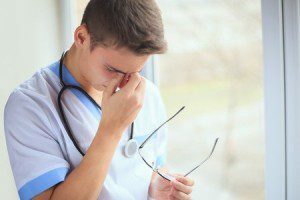 Causation or Avoidable harm – You have to prove that the doctor’s negligence or fault was what caused you to be in the position you are now in and that it was not due to the nature of the illness itself. What makes medical negligence claims particularly complicated is that your reason for having gone to the doctor in the first place was because you were ill or injured. Illnesses and injuries can sometimes get worse for any number of reasons. The big question then is, did your condition deteriorate because of your illness or was it because of the wrongful treatment? For your medical negligence claim to be successful, you have to convince the court that your illness or injury took a turn for the worse specifically because of the negligent care you received and it had nothing to do with the illness. Medical negligence covers a wide range of possibilities. It could be negligence in relation to diagnosis, medication, or type of surgical procedure. It could also include failure to do something that should have been done such as failing to warn you about the risks involved or not giving you the treatment you need. You can file a medical negligence claim against a hospital, private clinic, care home, drug company, pharmacy or chemist. Knowing that your condition was aggravated due to clinical or medical negligence is not enough to win a compensation claim. You have to prove it without any doubt and this can be very complicated and time-consuming. You have to obtain all of your medical records, X-Rays and results of the various tests. You will also have to get detailed statements from the medical professionals who were responsible for your care as well a detailed report from an independent medical expert. All of this can be difficult for you to do when you are already ill and struggling to cope with your daily chores. Experienced medical negligence solicitors would in all likelihood have handled several similar cases over the years. They know what documents need to be submitted and they will also have access to medical experts who will help to provide the necessary proof of fault to strengthen your case. One of the most significant aspects of any clinical/ medical negligence claim is that of determining the amount of compensation that is due to you. There are several factors that need to be taken into consideration when making this calculation. In most clinical or medical negligence cases, the compensation amount is split into two parts. The first part is a lump sum amount that is meant to help you meet the expenses involved in the treatment as well as immediate future medical and non-medical expenses. The second part includes periodical payments, which may be made annually, half-yearly or quarterly in advance. The periodic payments provide a tax-free annual income that is meant to meet future expenses as they come up. If you have not had any experience in this particular area, you could risk making the mistake of settling for far less than you are entitled to for medical negligence claims. A solicitor on the other hand, will know exactly what you are entitled to and will go all out to make sure that you get the maximum compensation that is allowed. As with other personal injury claims, the statutory time limit for filing a medical or clinical negligence compensation claim is three years. There is a slight difference however between the two. Most personal injury claims need to be filed within 3 years from the date that the accident occurred. With medical and clinical negligence claims, the 3 years is calculated not from the time of the injury but from the date when you first realised that your injury was the result of medical or clinical negligence. This additional time takes into consideration that in the majority of cases, the damaging effects of the misdiagnosis or mistreatment might only begin to manifest themselves a long while after the treatment in question. Sometimes, the effects may only make themselves felt after several years. If you are planning on filing a compensation claim for medical negligence, it is important to get expert legal advice as early as possible. Obtaining all the necessary documentation and putting together a compelling case takes time. Moreover, the earlier you start the process the easier it will be to get access to witnesses and all the staff involved in your care. Starting early also minimises the possibility that your medical negligence solicitor may not have sufficient time to put together your paperwork and file the case in court before the deadline. Money matters, more specifically solicitor’s fees, are what stop most people from going ahead and getting the legal advice they need to file a strong compensation case in court. What you should know is that most medical negligence solicitors will give you a free first appointment. During this first consultation they will listen to all that you have to say and they will evaluate the merits of your medical negligence claim. If they feel that you have a strong case with a high chance of winning, they will agree to take on your case on a No Win No Fee basis. This means you do not have to pay any fees at any point during the case. You only have to pay the solicitor after the case is closed and only if they have won the case for you and you have received the compensation due to you. Once the solicitor has agreed to represent you, they will do all the leg work for you so you can use the time to focus on your health rather than worry too much about about your medical negligence claim.